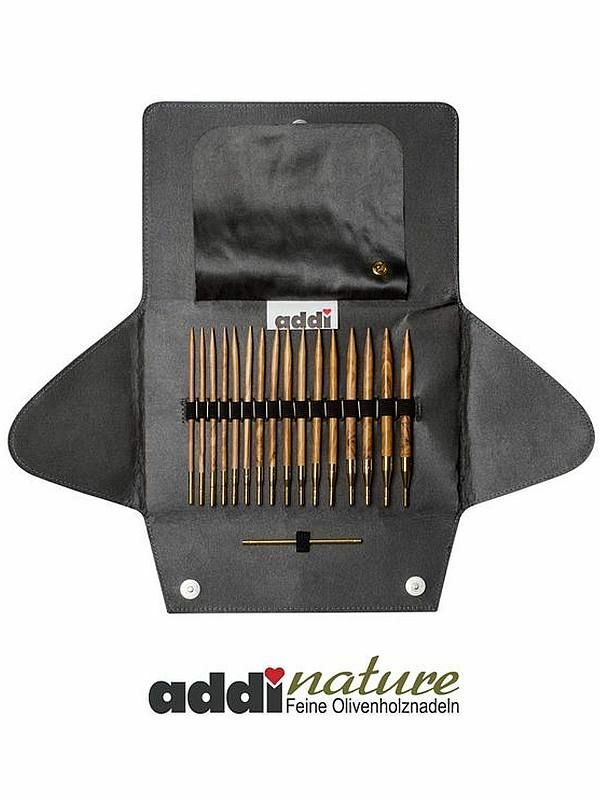 AddiNature Olive Wood Circular Needles now come in an interchangeable set! The tips are highly stable & unique with their beautiful grain. 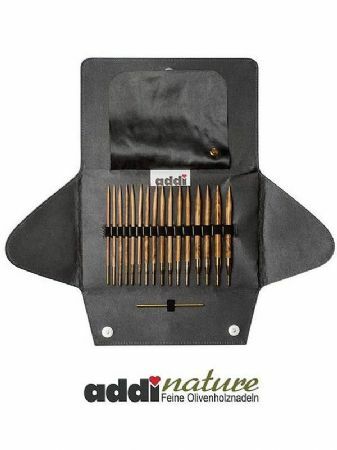 A really beautiful and exciting interchangeable knitting needle set from ADDI with beautiful recycled olive wood needle tips and gold cords in an olive green case with sophisticated pewter silk lining - a lovely gift for lovers of the wooden needle and anyone who prefers a warmer natural feel to their needles! 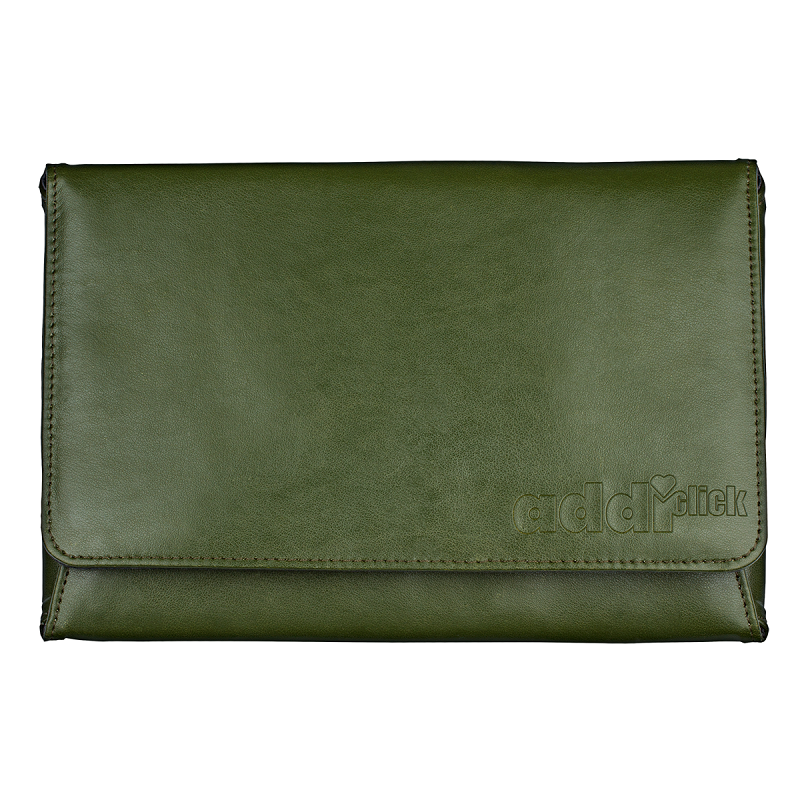 Set comprises wallet case with 8 pairs of olive wood needle tips, 13cm long in sizes from 3.5mm to 8mm, 3 different lengths of pliable gold cord with brass fixings: 60cm, 80cm and 100cm, 1 connector, 1 brooch. The tips are finished with natural waxes & individual click tips may be supplemented up to size 12 mm.